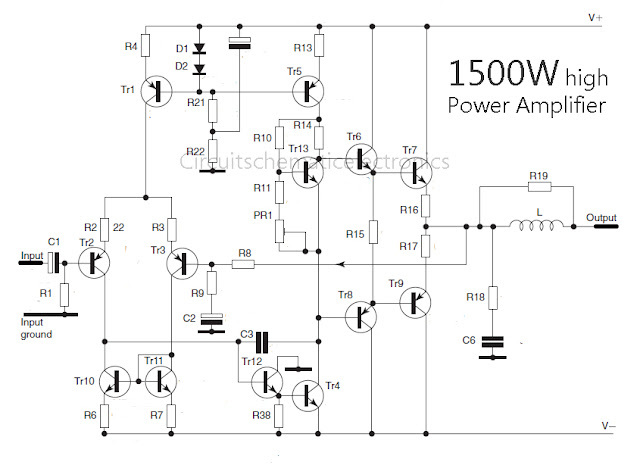 Circuit of 1500 Watt high power amplifier is very nice to talk about single power amplifier circuit is therefore not o be outdone by the class-A amplifiers. 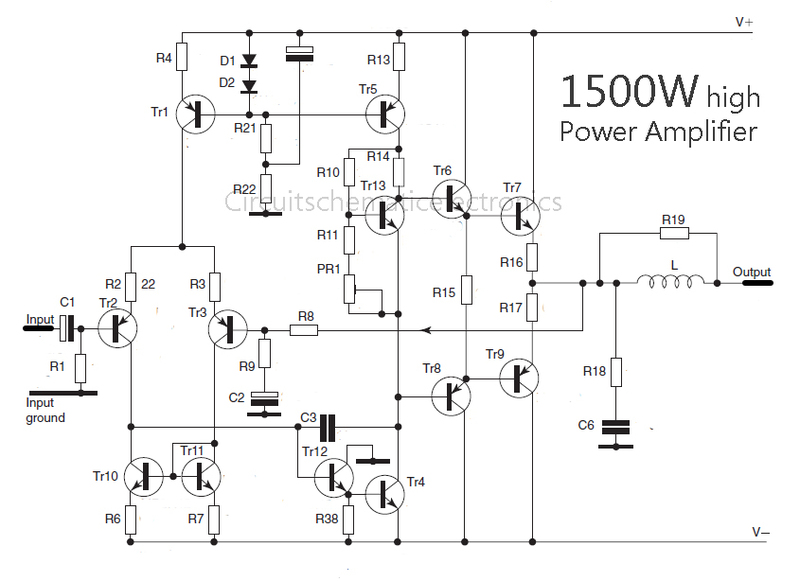 Power amplifier circuit that allows for use on large event that requires a variety of power or power from the amplifier. In reinforcement in block buffer and its driver transistors using high quality, but actually at the end of the transistor amplifier can be dtermined according to needs.